Concussion injuries have been receiving a lot of attention lately, thanks in large part to the pressure that congress has put on the NFL to overhaul its concussion program. Read NY Times Article. Thousands of former players are suing the league for hiding information about the dangers of concussions. So many once great players are now nearly incapacitated after repeated injuries. This is not an issue isolated to football or professional athletes. There is a chance for a concussion in any contact sport, as well as other physical activities. As a kid I had a number of concussions from; skateboarding, BMX, falling off playground equipment, and playing basketball (tripped over the ball!). Concussions are not limited to sports. How many “minor” fender benders have you been in? In one six month period when I lived in Los Angeles I had 3, yes; count them, 3 car accidents in which I was rear ended at approximately 25-35 miles an hour. Not very fast you say? Actually, a low speed, 5-10 mile an hour rear-end collision, creates enough head acceleration to cause a concussion. Your car may be fine, but not your brain. Yes, with each accident I suffered a minor brain injury. We have a world with millions of people who do not realize they or their child has suffered some level of brain damage. And there are long-term effects. The word concussion in itself is a problem, it sounds benign. But let’s be clear, it means BRAIN INJURY. A concussion is a minor traumatic brain injury (TBI) that may occur when the head hits an object, or a moving object strikes the head. A couple months back a good friend shared with me that her son sustained a concussion in a high school football game. His symptoms are significant and continue to some extent today. The best treatment is to give his brain time to heal itself. Fortunately his mom is an occupational therapist and recognized the best form of therapy was self healing. But all too often kids return to the activity where they incurred the injury before their brain heals, making them more susceptible to further damage. Yesterday a HUFFPOST article mentioned a new study recently published in The Journal of Neuroscience that finds even if there are no symptoms months after a concussion, there are alterations to the white matter of the brain. That white matter is what transmits signals between brain regions and affects how the brain learns and functions globally. This post is an FYI, to be aware concussions are serious matters. I don’t want to be alarmist, in most cases people heal from them with no known long-term harm. But many, especially with repeated injuries suffer real and serious effects that appear to make them more at risk for neurodegenerative diseases such as Alzheimer’s. We can’t all live in a bubble or keep our children in one to protect them from the world. But we can be more aware and take precautions for head protection. 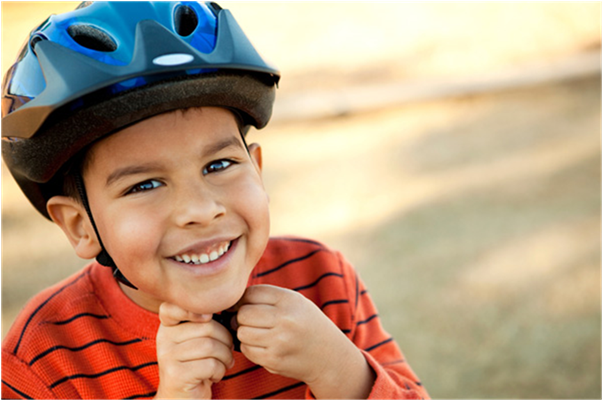 Head injuries happen with helmets too, but are greatly reduced when good head protection is used for activities that call for it. Seek appropriate medical attention if concussive symptoms are present following a blow to the head, monitor symptoms for months not days, and give the brain time to heal itself. So, as our kids are getting their new skateboards, bikes, snowboards, skis, and scooters under the tree this Christmas, send a note to Santa and make sure he includes a high-quality helmet to protect their most precious possession, their brain. The Brain Understanding Itself was just added to All the top Neuroscience news on Alltop http://neuroscience.alltop.com/. Check it out. The creation of a blog has been on my to-do list for some time and well today, September 1, 2008, I can check that item off my list! The Brain Understanding Itself will include my reflections on the phenomenon that the brain is trying to do just that… understand itself. This concept was introduced to me after the publisher sent me a review copy of The Brain That Changes Itself by Norman Doidge, M.D. http://www.normandoidge.com/. As I reviewed this text I reflected on the work that has consumed me for the last fifteen years; developing neurotechology products, methods and technologies that improve the efficiency of the brain in order to help people maximize their potential. The last ten of these years has been spent at Advanced Brain Technologies www.advancedbrain.com. During this time of reflection I marveled at the risks taken by my late grandfather, Robert J. Doman, M.D., a physiatrist (rehabilitation physician), and his brother Glenn, a physical therapist along with their colleagues. Starting in the early to mid 20th century they began their great adventure researching and developing new and progressive methods to rehabilitate those with the most injured brains. Their path was the road less traveled, and for that I am grateful. Their work inspired and continues to inspire countless people who follow in their footsteps as do I. The brain understanding itself… Is it possible? The brain is plastic, so who knows? We all possess unlimited potential so perhaps through harnassing the collective consciousness the brain can indeed understand itself one day.